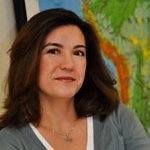 Dr. Wendy Jepson is a Professor of Geography at Texas A&M University where she has been on faculty since receiving her Ph.D. in Geography from UCLA in 2003. Her research addresses contemporary debates in political ecology, human-environment interactions, and environmental governance. Her previous research documented and explained the complex economic and political processes that caused agricultural expansion and land-cover change in the Brazilian Cerrado, the world’s most biodiverse tropical savanna. She also conducted a study, funded by NextEra Energy, on the rise of new energy systems and local communities in West Texas. Her current long-term project examines water security, sustainability, and water resources in urban contexts. Dr. Jepson has several projects that intersect with the research theme of water security: (1) household water insecurity in the US and Latin America (Brazil and Mexico); (2) sustainability and urban water security. Details can be found on her Research profile. Dr. Jepson was a recent Fulbright Scholar (2016-2017) and a recipient of several National Science Foundation grants that focus on water security. She also has generated over $2.0 million in grants and awards as lead PI from NSF, private sources, and internal awards to support her research agenda. Dr. Jepson has published 25 journal articles and book chapters, edited one book, and serves on editorial boards, including The Annals of the Association of American Geographers. She also was the 2015 recipient of the AAG Enhancing Diversity Award for her service to diversity and active engagement to achieve equality and inclusion in the discipline. Prospective students interested in water governance, water security, environmental justice, water-energy nexus or political ecology of water to contact me about graduate studies at Texas A&M University. For more information on my research interest and projects, please consult my papers and research projects. You are also welcome to check out specific opportunities in the Water Security and Governance Lab.